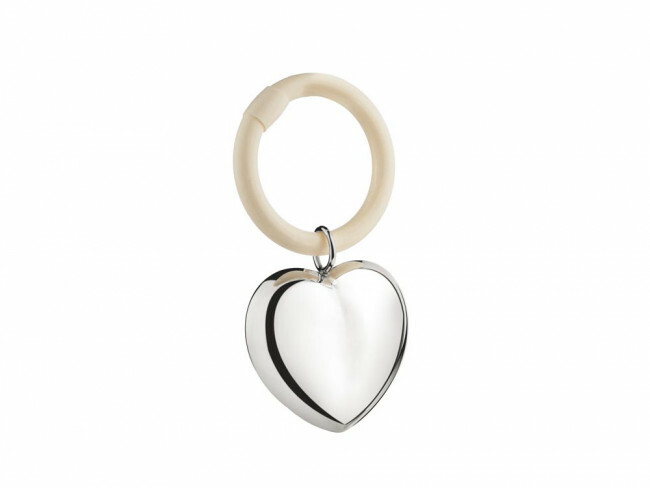 Silver-plated (B90) rattle with a heart on a ring. Certified as a safe toy for children. The rattle can be engraved, making it ideal as a personal birth gift.